While staying in Fairfax County, you&apos;re only a short trip away from a number of fun and popular seasonal activities you can only experience while here in the National Capital Region. Hitting the rink is one of winter&apos;s greatest outdoor activities. Fortunately for you there&apos;s no need to go in search of frozen ponds in order to get your skating fix. 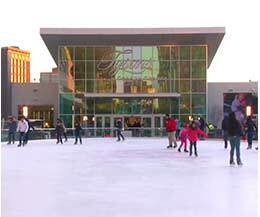 We have plenty of ice skating rinks to choose from in the region. A must: Bust a move surrounded by the beautiful and lively streets of Reston Town Center at the Reston Town Center Pavilion Ice Rink. The rink is open from late November through March (check site for specific dates) and offers skate rentals if you don&apos;t have your own. Also, if you find yourself downtown and the skating moods hits you, we find that art and figure 8&apos;s match perfectly along the National Mall on the National Gallery of Art Skating Ice Rink. In the mood for some seasonal entertainment to get you in the holiday spirit? If so, check out the George Mason University Center for the Arts upcoming schedule which features a variety of seasonal performances in November and December, and a host of other shows to keep you entertained all winter long. 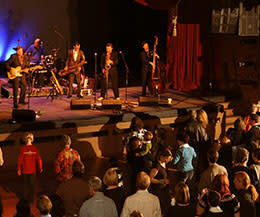 Or, you can make plans to spend some time taking in the tunes at The Barns at Wolf Trap with its rustic charm and unparalleled acoustics during one of their enlivening performances. We also recommend you visit the best little music club in the area, Jammin Java, and find shows of all stripes virtually every day and night. Fairfax County is home to two of the region&apos;s most glorious light shows that have fast become traditions for locals to attend. 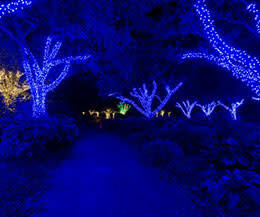 Named the #1 Botanical Garden with Wow-Factor Winter Transformations by Fodors, Meadowlark Winter Walk of Lights (at Meadowlark Botanical Gardens in Vienna) takes you on a lighted trail through a holiday fantasy land from mid-November through early January. But if relaxing in the heated warmth of a vehicle is more your thing, then head to the ultimate holiday drive-through at the Bull Run Festival of Lights (at Bull Run Regional Park in Centreville). 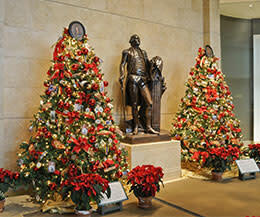 Visit George Washington&apos;s estate and experience Christmas at Mount Vernon! From November 23 to December 31 the holidays are full of delight at George Washington&apos;s estate. Enjoy candlelight tours of the Mansion, a dazzling display of fireworks (December 14 and 15) set to Christmas music, dancing, fire-side caroling, Aladdin the Christmas camel, and so much more. Also on November 23, 24 and 30; and December 1,7,8,14,15 and 16 you can enjoy Mount Vernon by Candlelight where you&apos;ll find candlelit character-guided tours of the first and second floors of the Mansion, 18th-century dancing, and fireside caroling. On the final stop of the Mansion tour, guests will hear about Washingtons&apos; holiday cooking and see a reproduction of Martha Washington&apos;s Great Cake. Let&apos;s face it, everyone likes to shop, even if they refuse to admit it. This is especially true when you have just about every imaginable store at your disposal to look for that special something - whether you&apos;re looking for you, or for your friends and family. 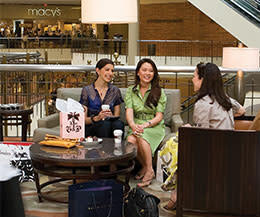 Here in Fairfax County we do world-class shopping like it&apos;s nobody&apos;s business and invite you to visit our various shopping destinations that are strewn throughout our wonderful county. Tysons Corner Center and Tysons Galleria transform Tysons into a shopping mecca for the holidays. Reston Town Center, Fairfax Corner, and Mosaic deliver epic window shopping strolls. And Fair Oaks Mall and Springfield Town Center bring family shopping experiences to another level. The Wolf Trap Holiday Sing-A-Long, held the first Saturday in December, is a local favorite where you can meet up with family and friends and kick off the holiday season with song. This annual musical celebration hosts a performance by the United States Marine Band and an extended Sing-A-Long session full of traditional holiday songs. Bring a candle and join the tradition of exiting the Filene Center with a candlelight processional during the last verse of "Silent Night." 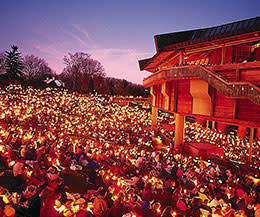 There will also be a "Jing-A-Long" during the singing of "Jingle Bells," so remember to bring a candle AND a bell. This event also benefits Toys for Tots as Wolf Trap will be collecting new, unwrapped toys at the entrance to the Filene Center before the Sing-A-Long begins. Donations are strictly voluntary and not a requirement. Admission is free, and no tickets are required. Parking is free too, but limited, so please plan on arriving early. One piece of advice...make sure to show up early as admissions to the event end as soon as park capacity is reached. Many say that art, like beauty, is in the eye of the beholder. Here in Northern Virginia, we have a deep appreciation for creativity and for those who can use art as an outlet for expression. In Fairfax County, there are many art galleries, studios, and art centers that showcase the work these local artists share with the world. 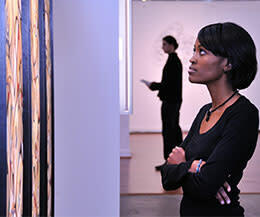 Unique destinations like the Workhouse Arts Center dot the county - and the region - so throughout the winter months be sure to visit these bastions of creativity, pick up a one-of-a-kind gift, and support our talented and dedicated local artists. Also, some of these places offer classes throughout the year so that you tap into your inner artist and create your own masterpiece.